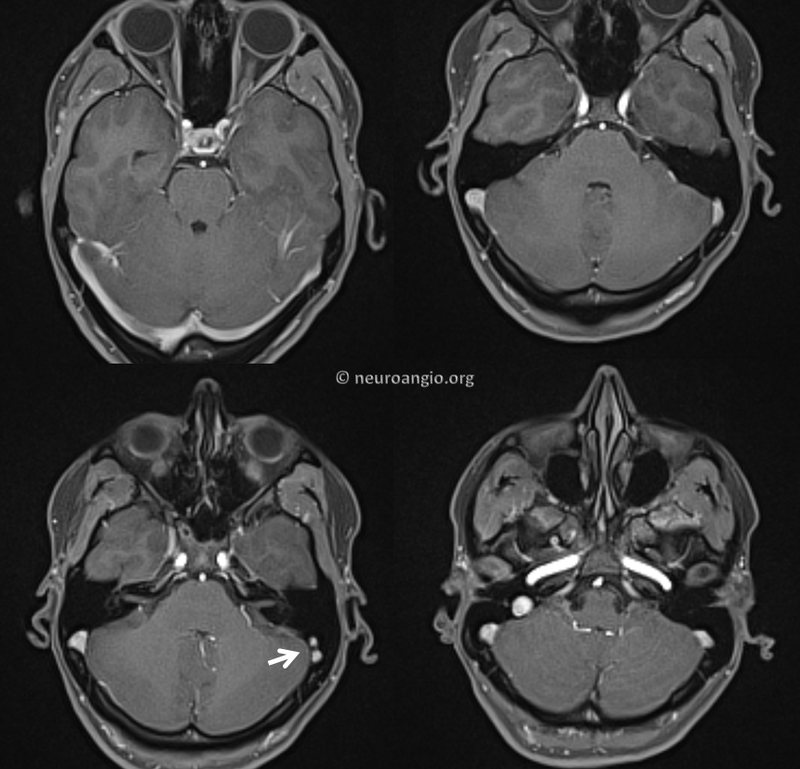 Venous sinus stenosis is the most under-recognized cause of pulsatile tinnitus. 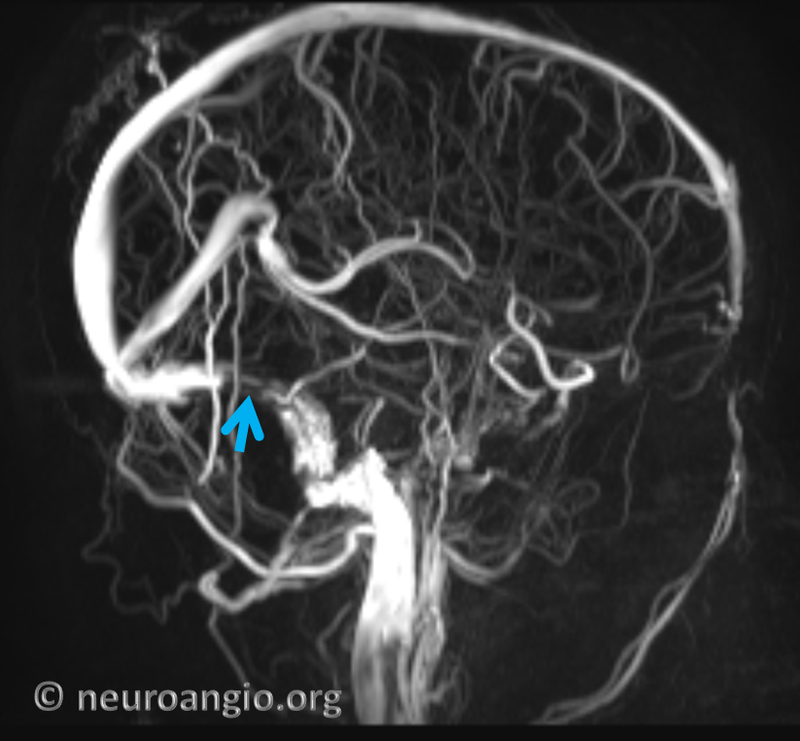 Venous sinus stenosis, particularly of the sigmoid sinus, is common and, in vast majority of cases, asymptomatic. Which is why it is usually overlooked on imaging studies. 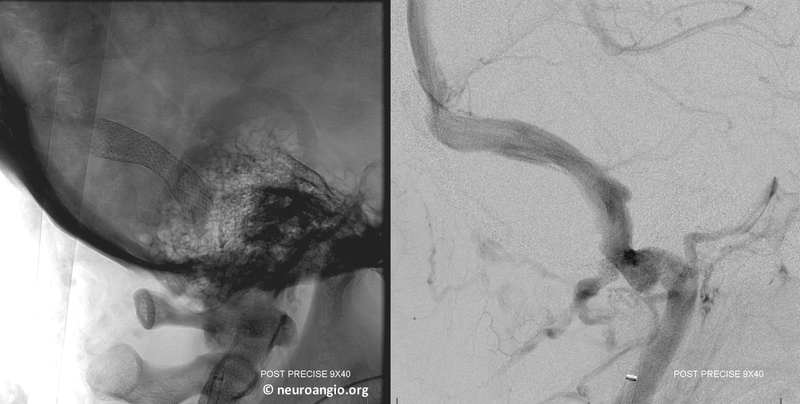 Many patients ultimately proven to have venous stenosis as a cause of PT have had their studies interpreted as normal. How to avoid this problem? You need history and physical exam info. Is the sound unilateral? In the vast majority of times, the sound is on the side of the dominant sinus. Can the sound be abolished by ipsilateral jugular compression? 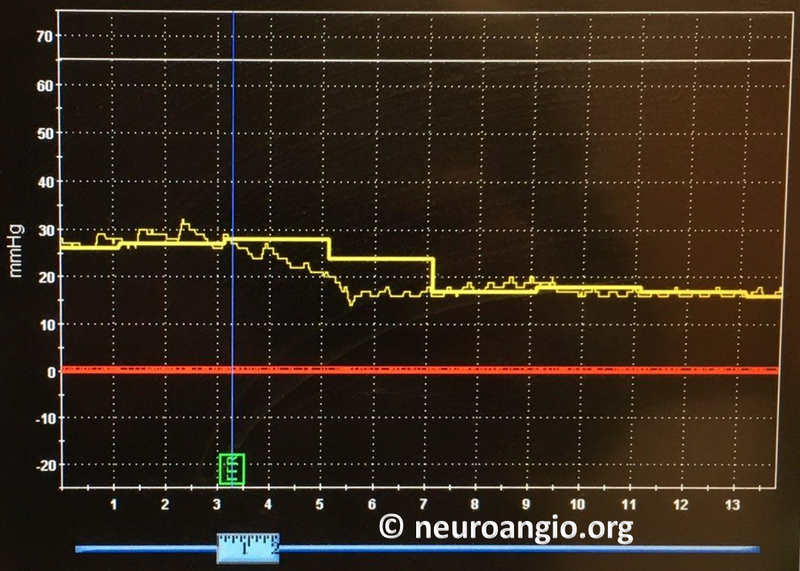 Jugular compression is an extremely sensitive and specific maneuver in diagnosis of venous pulsatile tinnitus. 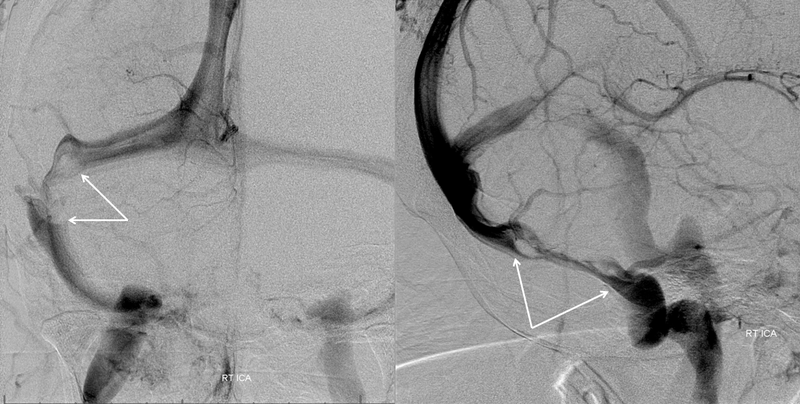 Compression of the jugular vein stops or markedly reduces flow in the entire ipsilateral transverse/sigmoid/jugular conduit. It is a simple and under-utilized test. 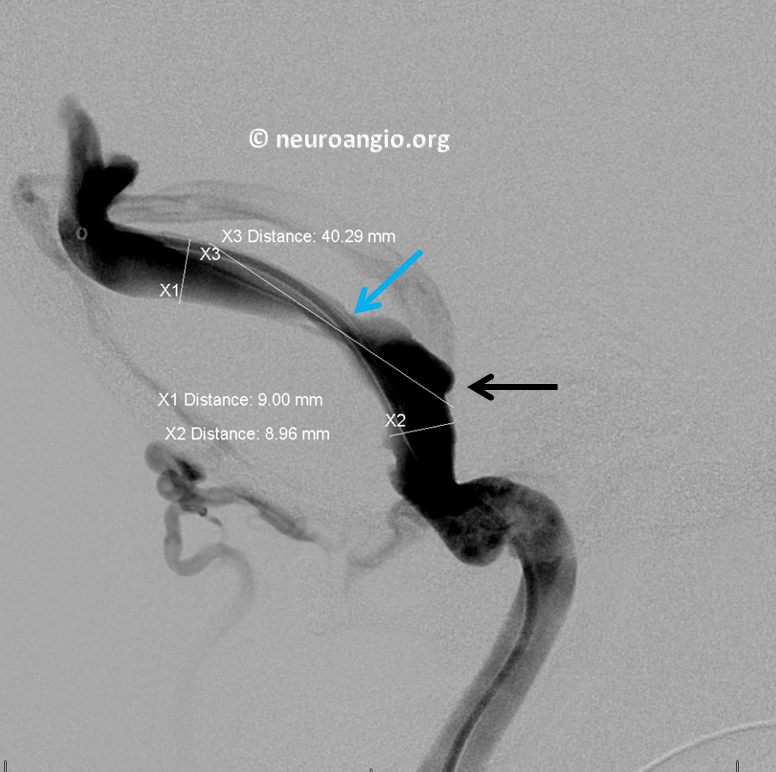 So, if a patient has PT on the side of a dominant transverse/sigmoid sinus stenosis that they can suppress by jugular compression, it is extremely likely that stenosis is the cause. Other causes of venous PT also respond to jugular compression — for example, jugular plate dehiscence or sigmoid diverticulum. It should be noted that diverticula and high-riding bulbs are frequently sited as causes of PT. It is difficult to prove however that they are, unless the diverticulum can be selectively occluded. In many instances there is an associated stenosis which is the primary cause an the diverticulum is part of post-stenotic dilatation. 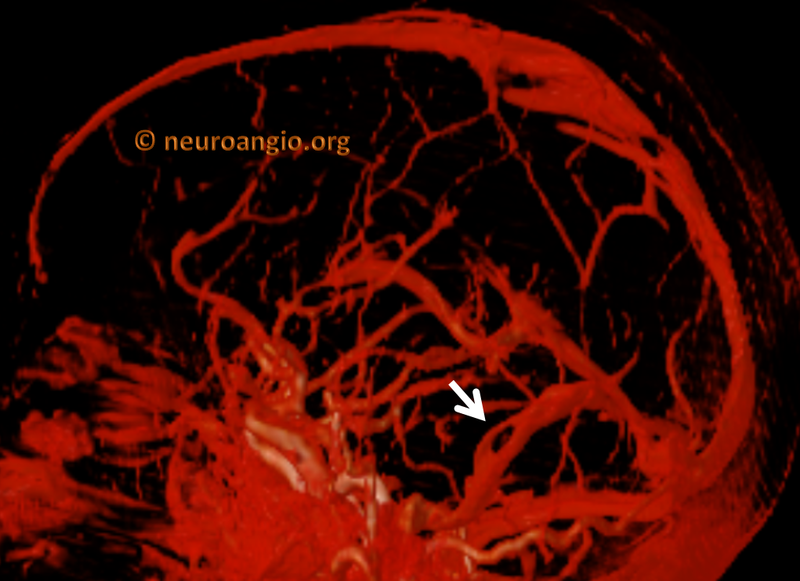 Below is a range of imaging findings in venous stenosis. 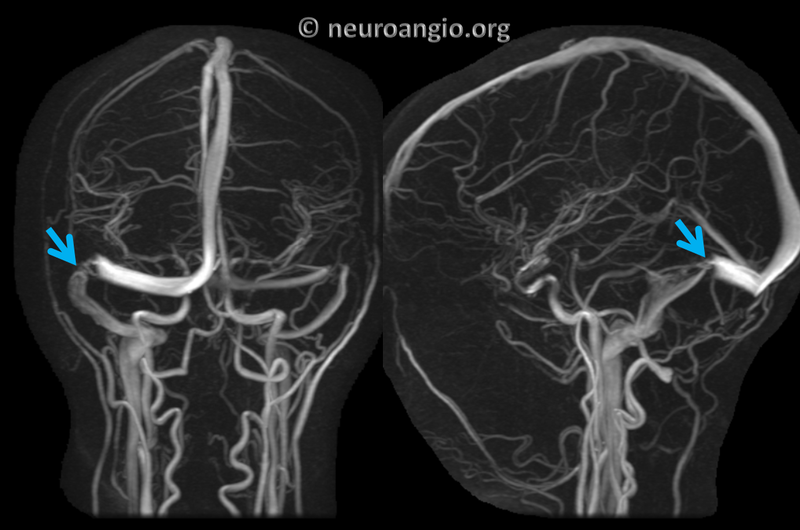 You don’t need an MRV or a CTV to diagnose venous sinus stenosis. A contrast MRI will do just fine. All but the worst quality contrast MRs will show it. A modern, volumetric post-contrast T1 makes MRV pretty much obsolete. 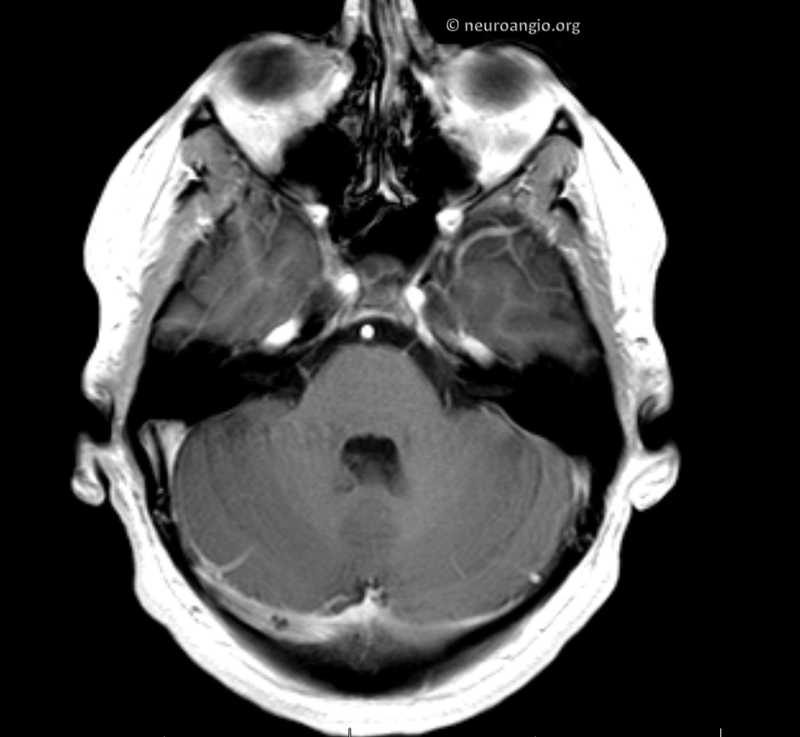 Here is a typical postcontrast axial MRI. Its a Siemens volumetric “MP-RAGE”. 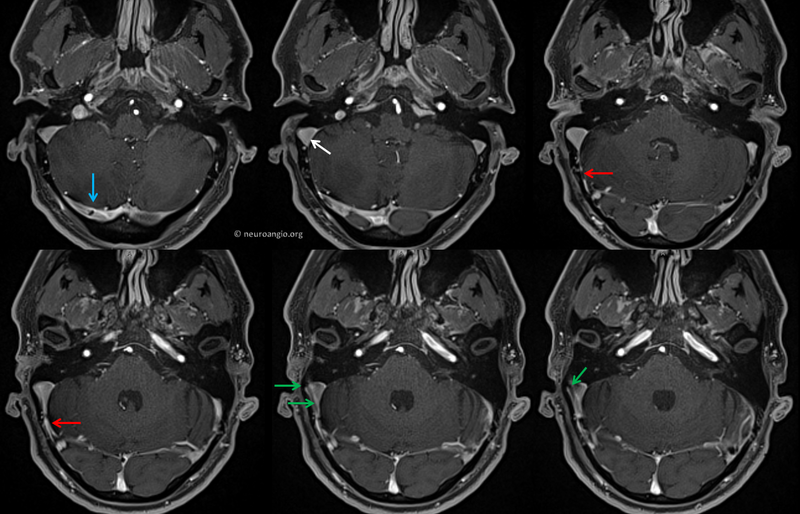 Usual right sinus dominance. 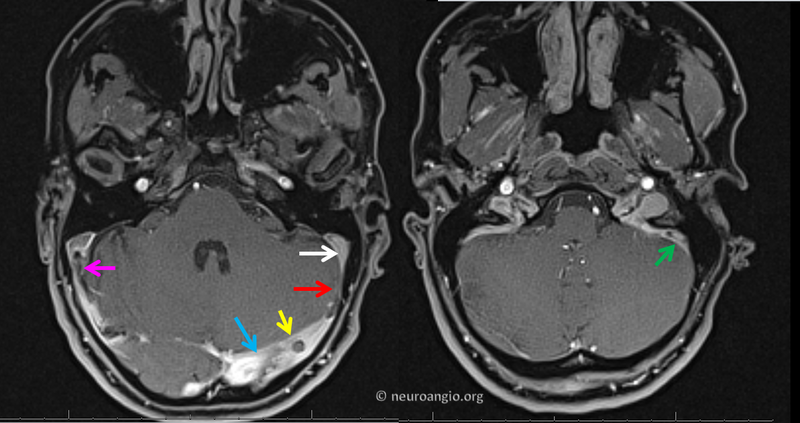 The transverse (blue) and sigmoid (white) sinuses are normal. 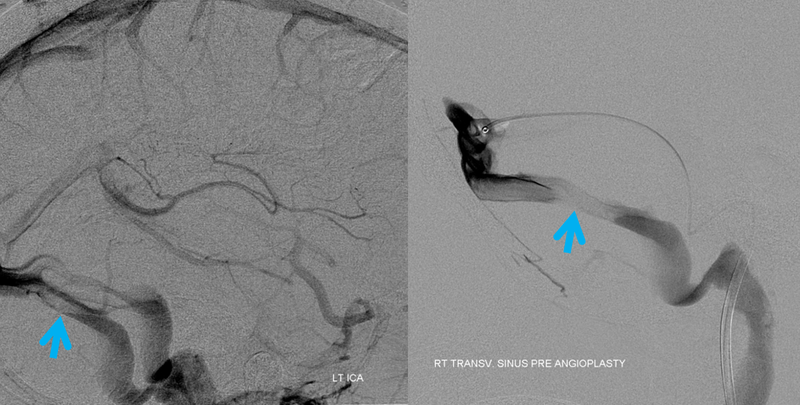 There is a severe proximal sigmoid sinus stenosis present (red). A flow jet atrifact at location of stenosis (green) is an inconstant and unpredictable finding, varying widely based MR equipment manufacturer, sequence parameters, etc. Nevertheless, it is an intriguing and helpful finding that makes intuitive sense for patients with pulsatile tinnitus. 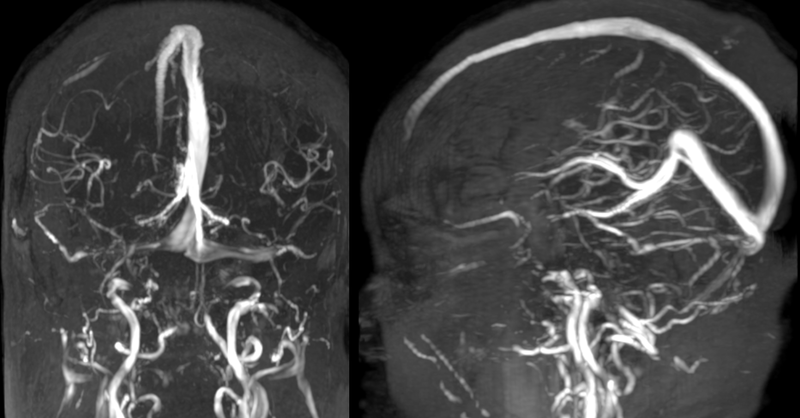 A CT of the same patient is shown on the left, next to the MRI. We all know that water shapes stone. Certainly, blood flow shapes bone. 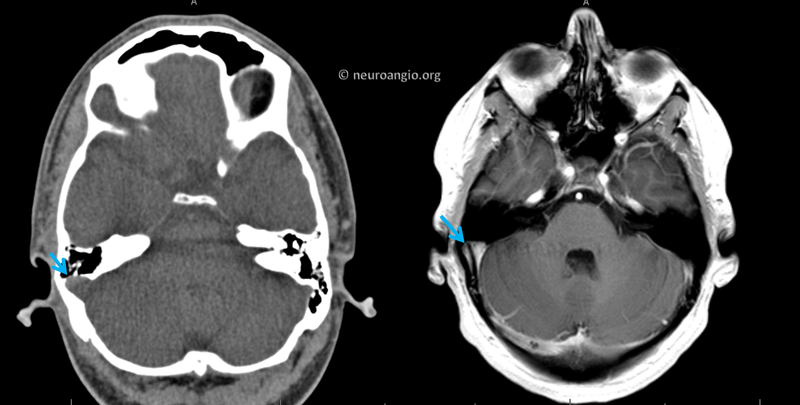 Years of jet flow have remodelled the temporal bone to produce a diverticulum (blue). In fact, if you pay attention you will notice that lots of diverticula have an associated stenosis just upstream. 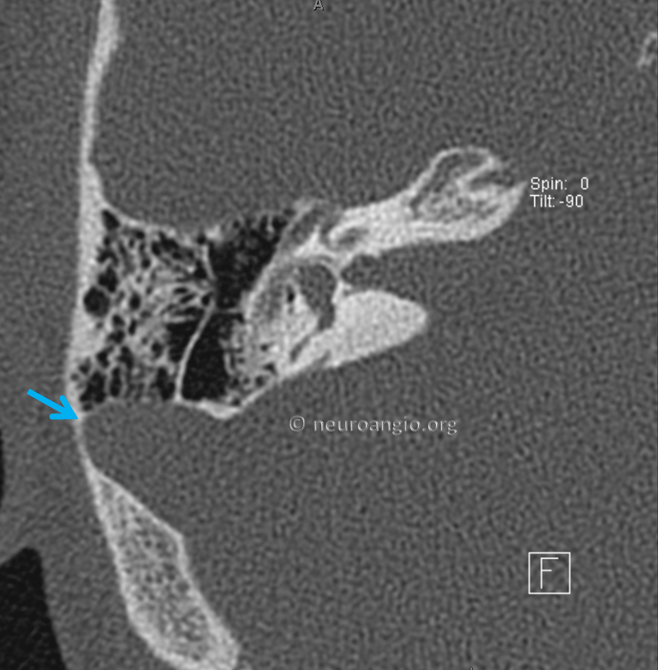 Thin section temporal bone CT shows some pretty impressive thinning of the mastoid petrous bone lateral to the sinus. Here are some variations. 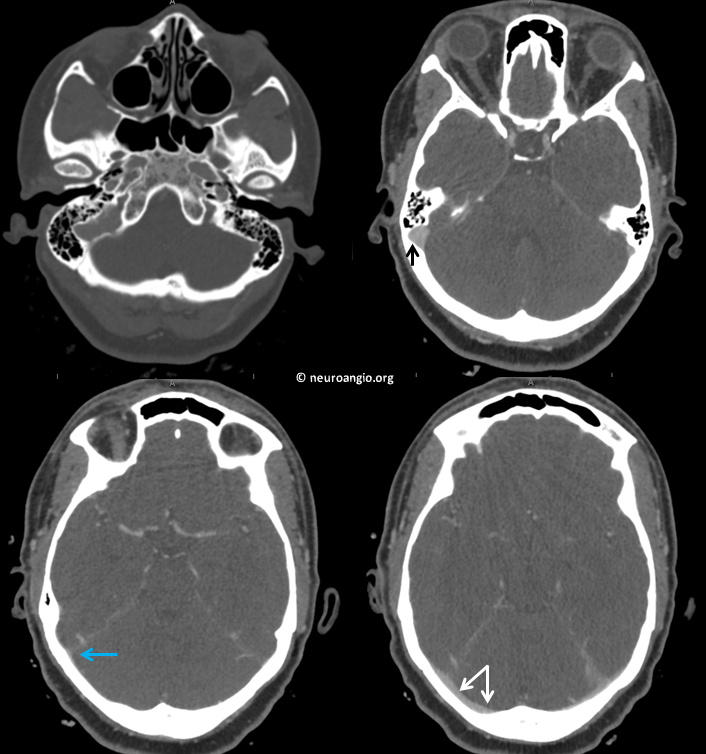 In this case, the dominant sinus and PT are both on the left. Again, compression of left jugular vein stops the sound. The same color arrows apply, including flow jets (green, purple). 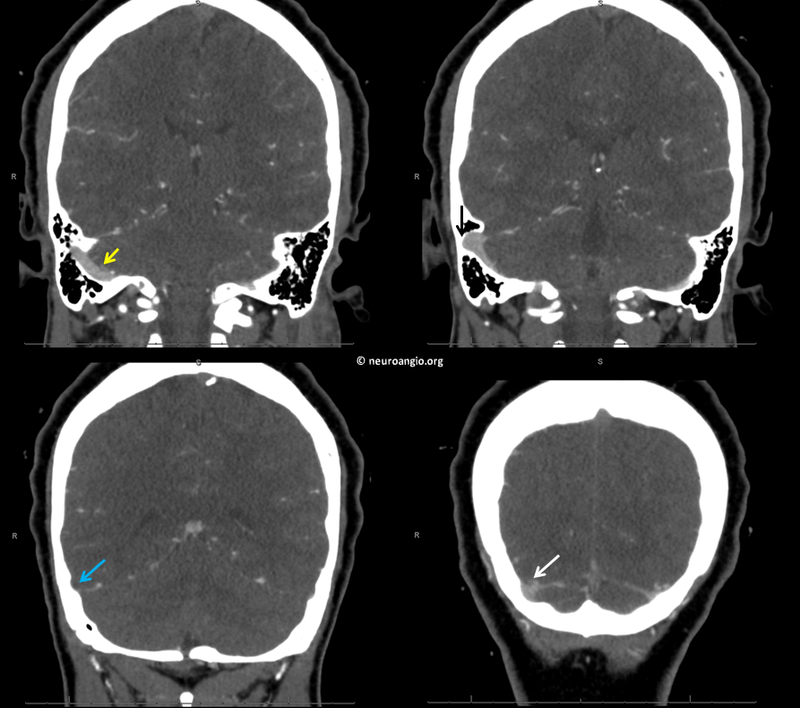 A small arachnoid granulation (yellow) is present. Its size and position make it an unlikely cause of PT However, in a few causes they see to be the culprit. 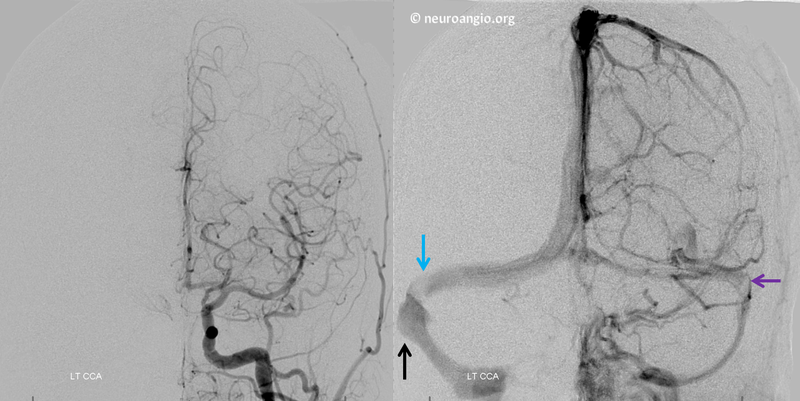 TOF MRV of the same patient. Notice how much worse the quality is. Usually, contrast is better. 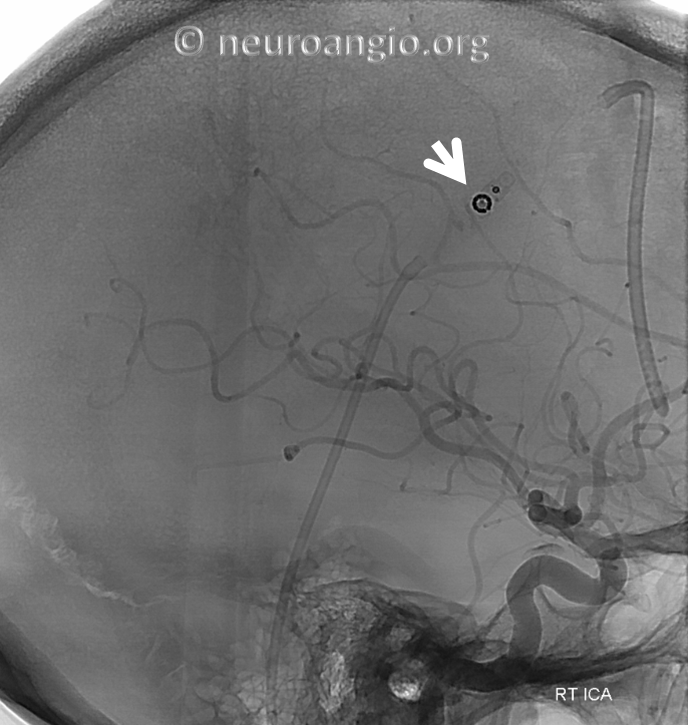 Here is an unusual cause of pulsatile tinnitus on a non-dominant sinus side — a sigmoid fenestration (arrow). The sound was completely abolished by neck compression.